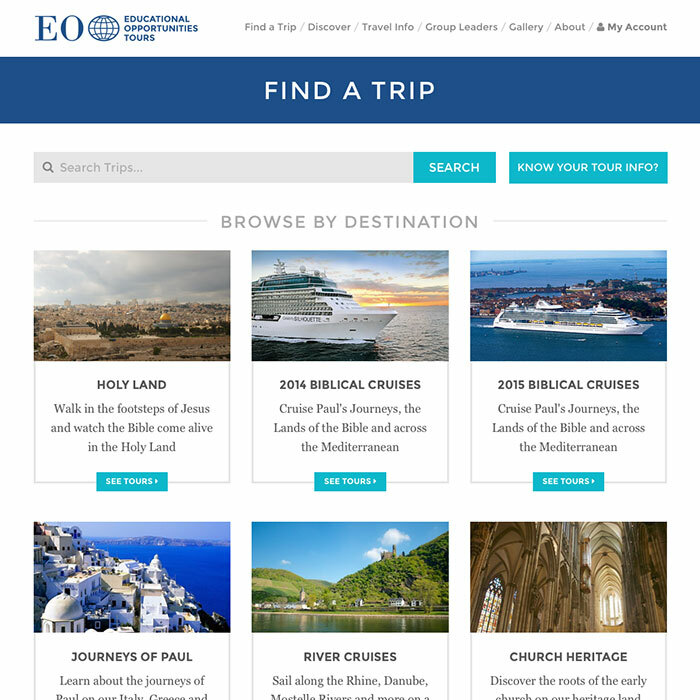 Educational Opportunities Tours (EO Tours), which provides top-notch travel experiences that give people the opportunity to learn about Christian history first-hand, needed a website that reflected the beauty and excitement of the travel experiences they offer. The redesigned responsive site, with large, beautiful homepage images of journeys traveled, allows the potential traveler to imagine themselves on a cruise before ever choosing a trip. An interactive map lets travelers easily see where in the world EO Tours travels, while detailed tour pages feature departure dates, daily itineraries complete with photos and videos, and ways to enhance the journey with tour add-ons. 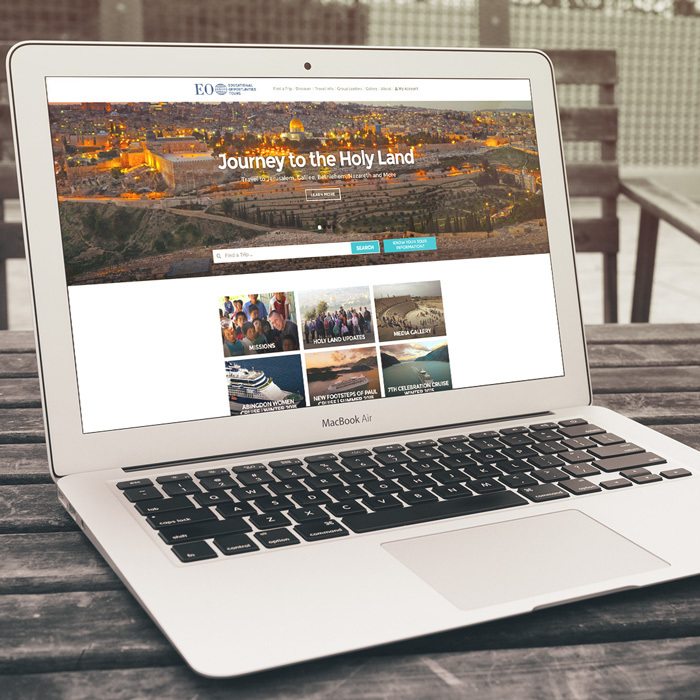 The new EO Tours site serves as a virtual tour guide and travel agent, giving users easy ways to discover trips, interactive opportunities that serve as a taste of the experience, and valuable logistical information.